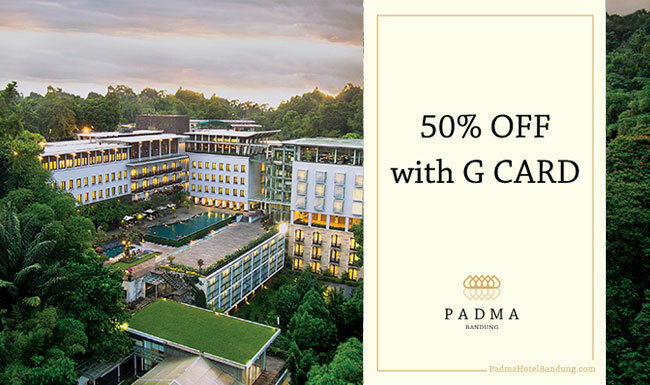 Plan your vacation to Bandung and receive 50% OFF for room booking by showing your G CARD at Padma Hotel Bandung and you can also enjoy other discounts for F&B purchase Use the Booking Code G CARD or click here to get the special rate. 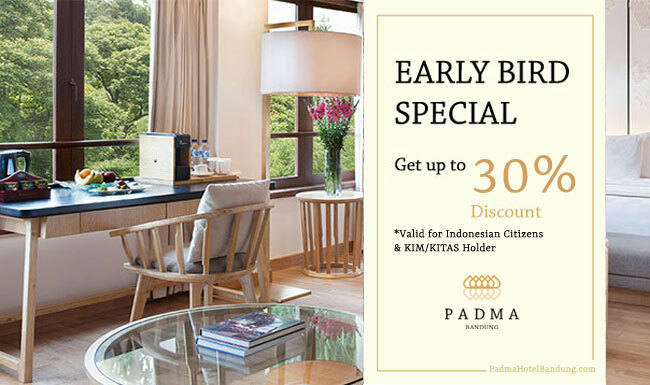 Rate starts from IDR 1.650.000 and is subject to availability and change without prior notice. Use the Booking Code G-CARD or click here to get the special rate.